In precision strike warfare, accurate targeting and delivery of payload is of paramount importance with increasing demands on flight control systems ranging from “line-of-sight” seeker systems, to wing deployment and fin control actuation. As a result, targeting efficiency has been improved and crew risk has been greatly reduced. Control actuation systems must be lightweight and capable of delivering precise motion, at high torque, with instantaneous responses to constantly changing inputs. 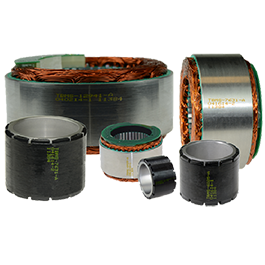 Furthermore, a single failure can mean a total loss of control; therefore, the control systems and the components within need to survive the extremes of temperature, altitude, dust, moisture, vibration and shock. Whether deployed from the deck of a ship, a mobile land vehicle or fired from the wing pylon of an aircraft at altitude, the control systems of missiles and other smart munitions must be able to withstand harsh environments and the high shock and vibration of being launched. More than 100,000 of Kollmorgen’s motion solutions have been deployed over the past several decades, ready to provide the guidance and control required to deliver the mission payload on target, with full effect. 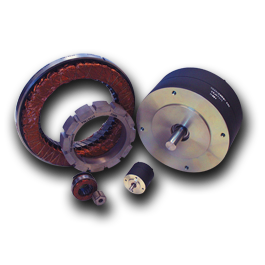 Kollmorgen motor and actuator solutions are widely incorporated in the global missile industry’s advanced control actuation and seeker systems to meet demanding requirements. Kollmorgen has a proven history of collaboration with premier missile defense contractors in designing and building highly integrated missile control subsystems. We make next-generation weapons systems even more accurate, no matter how great the range or adverse the conditions. Expertise, performance, delivery and price — Kollmorgen delivers all the elements needed to coordinate a precision strike. 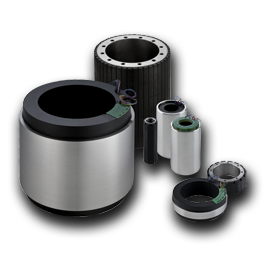 The ability to integrate core motor technologies into a customer's unique application is a key competency of Kollmorgen. Our expertise allows us to modify standard products, such as our award winning TBM and KBM frameless platforms, or develop entirely custom solutions across our extensive product design portfolio.